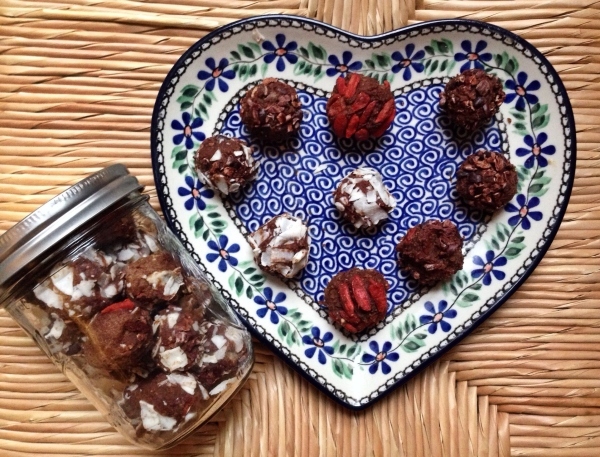 I've always wanted to try making raw chocolate truffles with nuts and dates, which are a perfect alternative to store-bought nutrition bars. You definitely need to have the right powerful blender for making them. Now that I have Blendtec Designer Series with Wildside+ jar, I conducted a proper experiment with the truffles, and the result was mind-blowing. The protein truffles turned out just the right texture, chocolate-y to perfection, and naturally sweet enough to satisfy anyone with a sweet tooth. 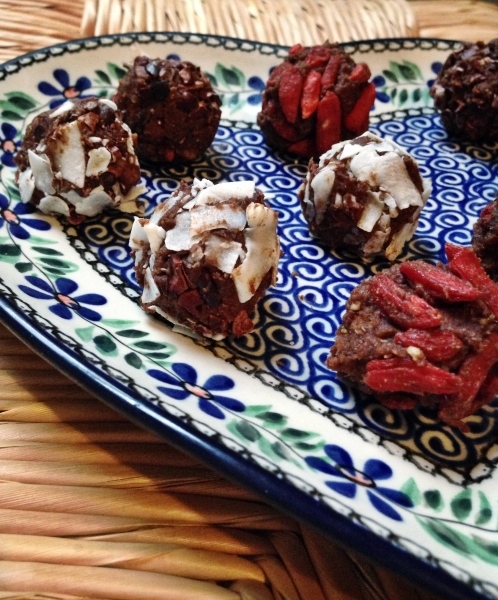 The fun thing is that you can experiment with the amounts of spices and types of nuts and superfoods that you use, so you'll never get bored by these delicious anti-inflammatory choco-nutty truffles full of vitamins, protein, fiber, and minerals. Soak dates, hazelnuts, and macadamias in water for at least 30 minutes to soften. Remove all ingredients from water and add to your Blendtec blender. Add a few tablespoons of water to make the blending process easier. Once the mixture turns into a paste, shape it into small balls and dip them in coconut, raw cocoa nibs, and goji berries. Set on a plate, and leave in the freezer for at least 1 hour. Your raw cocoa truffles are ready! Enjoy them as a healthy dessert or a snack. Keep in a tight lid container in the freezer (a few weeks) or fridge (up to a week).